This year’s global focus on “Alliances for Solidarity” resonated across the world, with many organisations taking ownership of the theme to reach out to allies and supporters. Alliances are definitely the backbone of our struggles. In a world where traditional fault-lines between progressives and conservatives are being blurred by populist movements, it is more essential than ever to reconnect all our social struggles together. 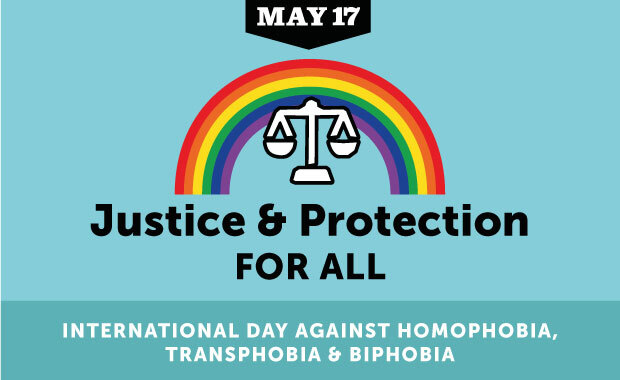 So this May 17 provided an essential moment around the globe for all defenders of sexual and gender diversities to express their support. 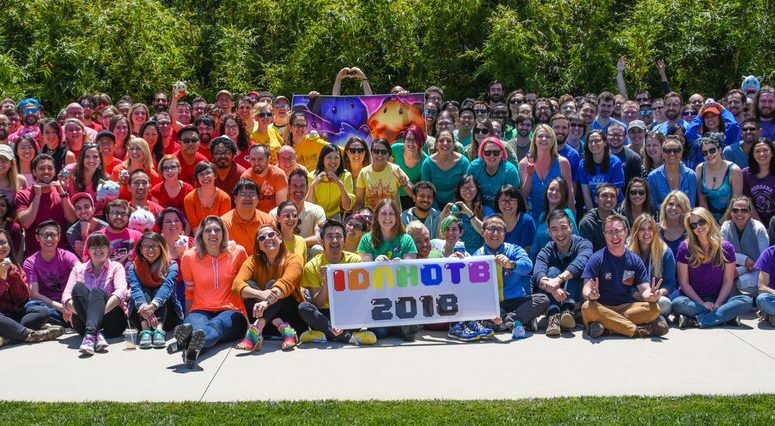 Voices of sexual and gender minorities and all their supporters and friends resonated around the globe, from Australia to China, from Kenya to Chile. In some places, opponents violently cracked down on peaceful May 17 events. In Lebanon, the Beirut Pride festival had to be suspended. In Georgia, Caucasus, the Orthodox Church and Neo-Nazi factions threatened to physically assault LGBT groups, leading to the cancellation of planned events. In China, some university authorities actively tried to discourage students from holding events to mark May 17. But however hard opponents tried, the mobilisation for sexual and gender diversities did not abate. 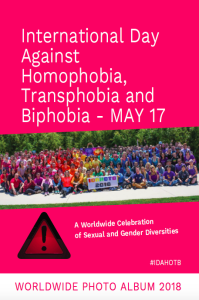 Everywhere, more and more voices joined the global celebration for sexual and gender diversities. This album provides a few snapshots from the many events that were recorded. They bear testimony to the organisers’ creativity and courage. –Photo : League of Legend creator Riot Games celebrates MAY 17 by creating special rainbow avatars. The staff gathers to show Pride and Support!